You'll be £9.99 closer to your next £10.00 credit when you purchase Battleground General: Arnhem 1944. What's this? This is the first in a series of game books which put you in command of the forces in engaged in some of history's most famous battles. Your tactical skill and ability to make the right command decision will be tested at every turn of the page. Operation Market Garden in September 1944 was one of the most daring Allied plans of the Second World War. An audacious surprise assault from the air, it was intended to give the Allies a bridgehead across the Rhine, removing the last significant natural barrier on the road to Berlin. If successful it might have shortened the war by months. Will the brave British paratroopers be able to seize the vital bridge at Arnhem and hold it until reinforcements fight their way through? Or will the Germans be able to recover the initiative and crush them in a skilful counterattack? The book presents you with a series of command decisions, aided by situation maps; directing you to the next relevant briefing depending on the option you choose. No dice are necessary to play, just this book and your tactical skill. When you buy this book, the fate of nations is in your hands. It reads well, and quite convincingly. This is an interesting idea. If you have read any of the accounts written about the Battle of Arnhem and thought that as the commanding General of either the Allied or German forces that you could have controlled or conducted the battle better, then this book at last gives you the opportunity to do so ! Written by a Husband and wife team who are professional writers and also run wargaming holidays in crete, this book is a real gem ! It is the first title in a series of game books which put you as the reader in command of the forces engaged in some of the most famous battles in history. 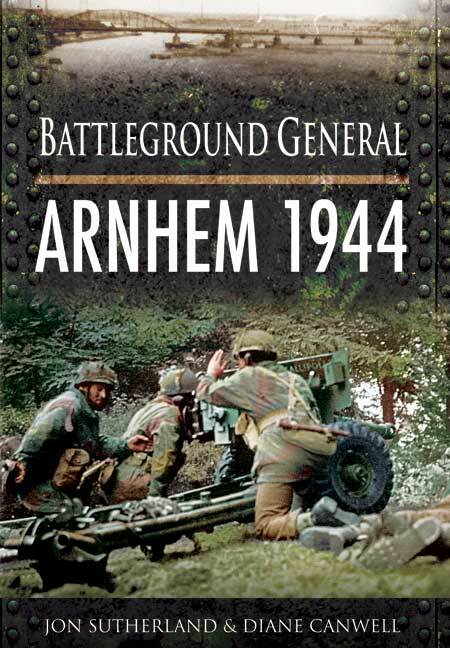 With Arnhem you can either take the role of Major General Robert Urquhart, 1st Airborne Division or General Willheim Bittrich waffen SS to decide the outcome of one of world war 2's most written about battles. Your tactical skill and ability will be tested with every decision that you make at every turn of each page. To help you with your decisions, the book includes situation maps. WW2 Connection enjoyed this original book, we have played out the various scenarios offered on a number of occasions and in each case the outcome was different, we only once managed to capture, hold and get relieved by 30 corps, so much for our command decisions, a really great book, highly recommended especially to all second world war gamers. We look forward to the other titles in this series.